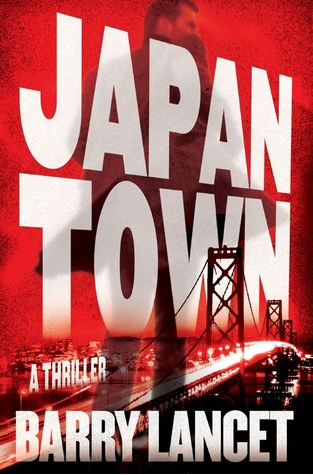 Barry Lancet, author of the new thriller “Japantown,” will speak on Saturday, Oct. 19, from 2:30 to 3:30 p.m. at the Little Tokyo Branch of the Los Angeles Public Library, 203 S. Los Angeles St. (at Second Street). San Francisco antiques dealer Jim Brodie recently inherited a stake in his father’s Tokyo-based private investigation firm, which means the single father of six-year-old Jenny is living a busy intercontinental life, traveling to Japan to acquire art and artifacts for his store and con­sulting on Brodie Security’s caseload at home and abroad. Brodie can’t read the clue. But he may have seen it before — at the scene of his wife’s death in a house fire four years ago. With his deep array of Asian connections and fluency in Japanese, Brodie sets out to solve a seemingly perfect crime and at the same time learn whether his wife’s tragic death was more than just an accident. 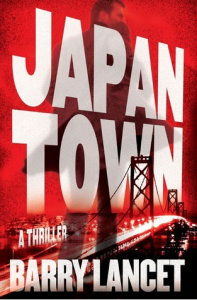 And as he unravels a web of intrigue stretching back centuries and con­nected to the murders in San Francisco, the Japantown killer retaliates with a new target: Brodie’s daughter. Lancet has a unique perspective of Japan and America, having spent a majority of his adult life in Japan. He landed a position at one of the country’s top publishing houses, and in 25 years developed numerous books across many fields — mostly on Japanese culture, including art, crafts, cuisine, history, fiction, Zen gardens, martial arts, and Asian philosophy — all of which were sold in the U.S., Europe, and the rest of the world. Have you ever considered being a writer? Would you like to meet an author? Get advice and hear insights from someone who has worked with publishers and years later wrote and published his own work. To RSVP, call (213) 612-0525. For ADA accommodations, call (213) 228-7430 at least 72 hours prior to the event.